At Sycamore Financial Group, we believe you should understand everything that is happening with your money, and that we should be just as good about explaining investments as we are at making them. More important, you deserve someone who understands you (and your family) and who will take the time to care. Most of us have goals in life that call for an investment of a significant amount of time and financial resources. We may have done some planning. However, our natural tendency is to focus on only one or two goals that are most important to us right now. For most people, developing and maintaining a plan to achieve all of their financial goals is a daunting challenge—one we delay taking on. If you elect to have us do a comprehensive plan for you we will meet with you to gather complete financial information from you including your short and long term goals. With this information, we will then look for planning strategies that you can use to improve your financial situation. 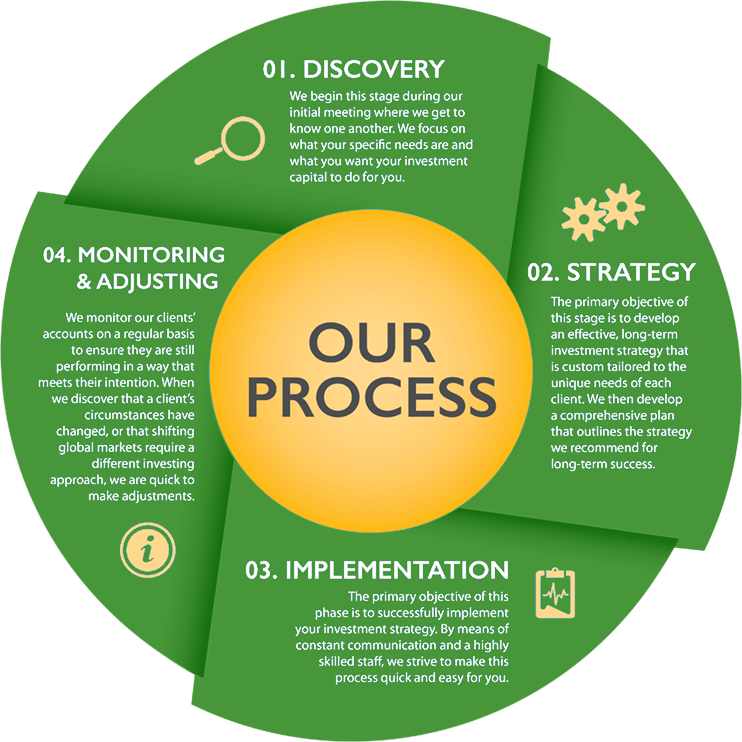 During a second meeting we will deliver these strategies to you and recommend methods of implementation. Sycamore Financial Group, of course, recommends annual reviews and updates of your plan to keep it on track. We also find that these updates increase the knowledge level of our clients, which in turn increases their odds of success. A comprehensive plan is an ongoing process. Throughout the planning process, our CPA partners will regularly review your financial roadmap to help uncover novel strategies for reducing your tax burden. In our experience, many advisors consider the tax implications of their work to be an afterthought for someone else to handle. At Sycamore Financial Group, we are passionate about addressing your tax liabilities because every dollar you don’t spend in taxes is one you can put toward your financial future. We help our clients keep as much of their hard-earned wealth as possible by building tax-efficient strategies.